We were pleased to help Willis Permian Movers, a division of Bekins based in Austin, with some flyers this past year. 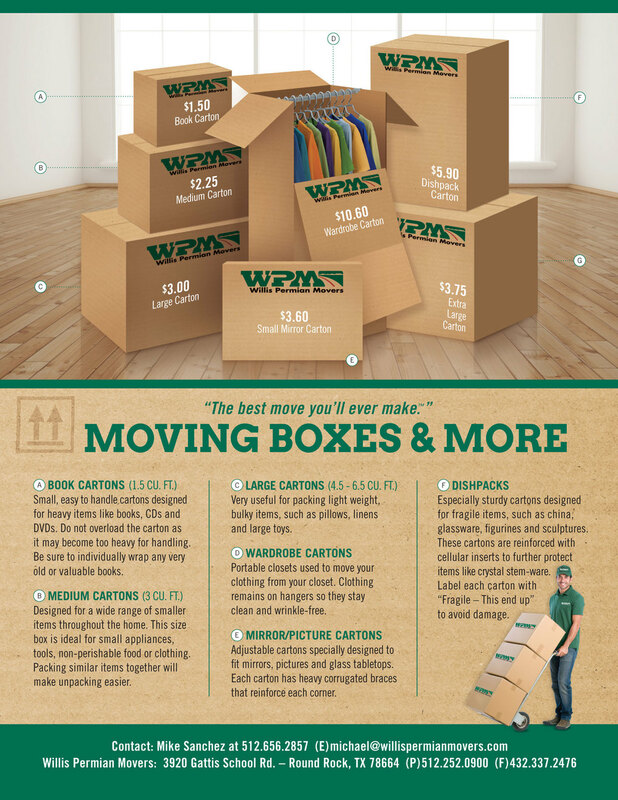 One to promote and explain the different types, sizes and uses of boxes they offer. The other to connect and align them with realtors while creating a new and consistent brand look across all materials. So if you live in Austin and need a really good mover — they have our rec. !